City Press editor-in-chief Mondli Makhanyaâ€™s column on why we must not want to be Winnie exposes the patriarchal lense through which society views strong (black) women in leadership roles. Makhanya doesnâ€™t afford her the same leeway men in leadership roles to be human. Using the anecdote of Mamâ€™ Winnie keeping Mandela waiting in prison before his release as a way of painting her as an undevoted wife is an attempt to box her in as the doe-eyed, white handkerchief clutched, waiting out the final seconds before her husband is set free. Winnie Madikizela was her own person leading a life where her husband wasnâ€™t the centre of her existence. She didnâ€™t fight apartheid to free Nelson. She fought apartheid to free herself and her people. â€œEven when the aeroplane arrived in Cape Town,â€ Makhanya writes, â€œshe was still in need of some good rest so that, by the time she got to Victor Verster Prison, Mandela would be able to recognise his spouse and be excited to see her.â€ Would her husband of three decades not recognise his wife who was his eyes and ears outside if she was in a â€˜not-so-good state of mind?â€™ Was she not wearing his favourite shade of lipstick? He recognises that the South African publicâ€™s view of her has been divided into polar opposites, one of villain and one of saint. But Makhanya still plays into the villanisation of Mamâ€™ Winnie that the apartheid government devoted so much time and resources to. He doesnâ€™t mention that the stories of infidelity, drunkenness, and instability were planted in the local and international media by the covert strategic communication operation (Stratcom) of the Security Branch, that section of the police that was especially devoted to quashing the anti-apartheid struggle. 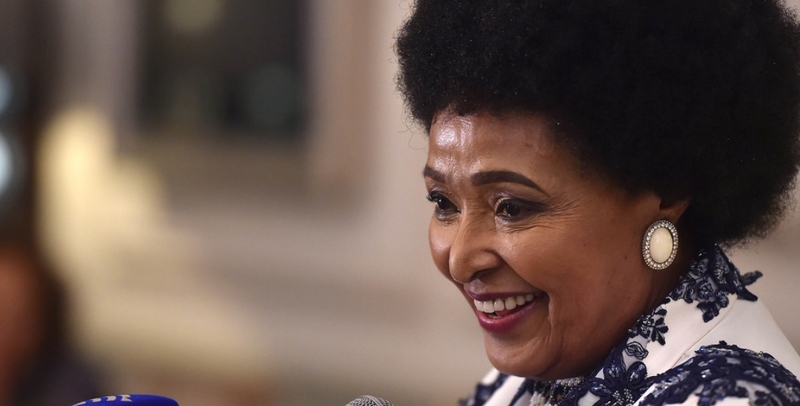 eNCA did an interview with a former member of the branch, Paul Erasmus who told them of how he would say Winnie was drunk at parties when she wasnâ€™t. â€œ[I] wrote pieces which were believed which were outrageous,â€ he chuckled, still in disbelief. Erasmus also admitted to using political messaging to drive divisions between her and the party. 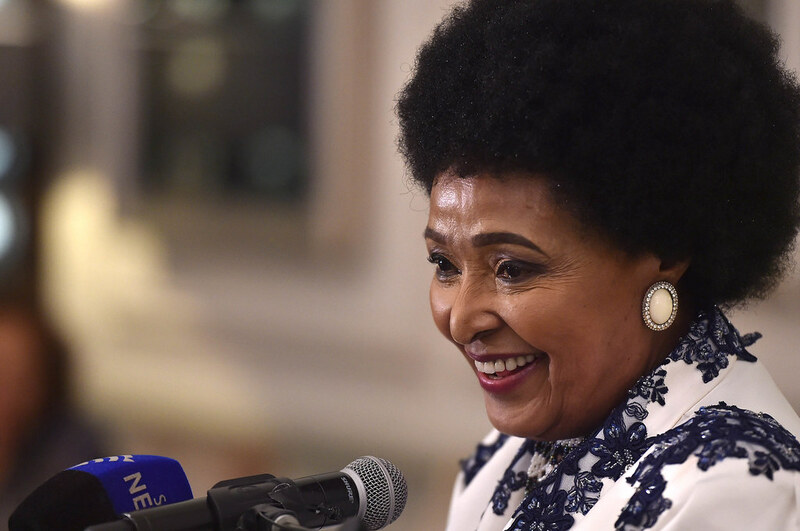 A former security operative of Stratcom, Paul Erasmus, speaks about the campaign to discredit Winnie Madikizela-Mandela. Makhanya mentions the kidnapping of Moeketsi â€œStompieâ€ Seipei and the distancing of the Mass Democratic Movement, an alliance of anti-apartheid groups, from her. What he fails to mention is that the apartheid government was also flexing its puppet strings. The wide unhindered coverage of Seipeiâ€™s funeral added fuel to the fire set to burn Mamâ€™ Winnie. Her response to this situation was one of recognising that there were larger forces at play. â€œPerhaps the idea is to so destabilise the political situation in black communities that the government simply sits back and looks at us fighting amongst each other, discrediting each other, dividing each other, and it would suit the government to release comrade Mandela in that political atmosphere.â€ Quote starts at 1:13 in the video below. Makhanyaâ€™s comments come in the manner that the apartheid government used to besmirch Mamâ€™ Winnieâ€™s reputation, decades after the systems that were created purely to keep an eye on and control the publicâ€™s perception of her were closed down. Women should strive to be like Winnie, defiantly feminist, unapologetic, and doing what needs to be done despite what authority tells you to do. Become the â€œdamaged goodsâ€ in the fight for what you think is right. The fight against the legacies of apartheid and misogyny is not over. Winnie was a cruel animal of a person. She enjoyed other people’s suffering. She and her team kidnapped and tortured people. She even encouraged necklacing. Anybody like that is a heartless psycopath. As is all who celebrate her life and not death. Everyone carries on about Stompie Seipei as if the inability to place Winnie at the scene of the muder absolves her of everything forever. But there is no scope for any genuine dispute that she had Lolo Sono and Siboniso Tshabalala abducted and killed, yet the Woke kids all keep quiet about that. I wonder why. Hmmm… consider the opinion of a respected editor with decades of experience and knowledge. Or some student journo on the Daily Sux. Think I’ll go with the former.